Learn the Sport of Kings and reap a tremendous amount of physical and mental health benefits since Polo is a great exercise for cardiovascular and muscle conditioning. Every Tuesday at 4:00 pm and Friday at 8:30am. Rates are per lesson and valid from 26 October - 23 november 2018. Applicable to new clients only. 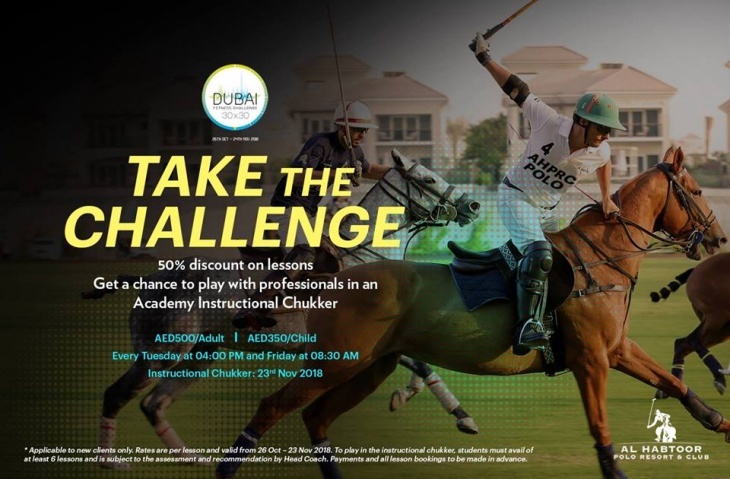 Book your slot now, call +971 4 436 2222 / contacts@alhabtoorpoloclub.com !